We strongly encourage you to leave the heating installation process up to our team of professionals in Cornelius, NC. If your home’s heater is on its last leg and you’re getting ready to replace it, let us at Cool Comfort Heating & Air help you with the heating installation process. 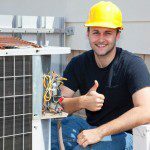 We have been providing a variety of different heating-related services in the Cornelius, North Carolina area for over 15 years and are known for the quality of our work and our competitive rates. When you buy a new furnace, we realize that you may be tempted to go grab your toolbox and try to install the new heating system on your own. However, we strongly encourage you to leave the heating installation process up to our team of professionals. This will ensure that the installation gets completed as soon as possible and that there aren’t any problems with your heating system when you go to use it for the first time. After we finish installing your new heater, we want to hear from you again if you ever need someone to help you maintain your heater or fix it when it breaks down. As a locally owned and operated company, our goal is to ensure that we’re the only place you turn to for all of your home heating maintenance, installation, and repair needs. If you’re ready to get the heating installation process started, get in touch with us at Cool Comfort Heating & Air today. We are eager to earn your business and look forward to meeting all of your home heating-related needs now and in the future. At Cool Comfort Heating & Air, we provide high-quality heating installation services in Mooresville, Huntersville, Cornelius, Denver, Lake Norman, Lake Norman, Troutman, and Davidson, North Carolina.